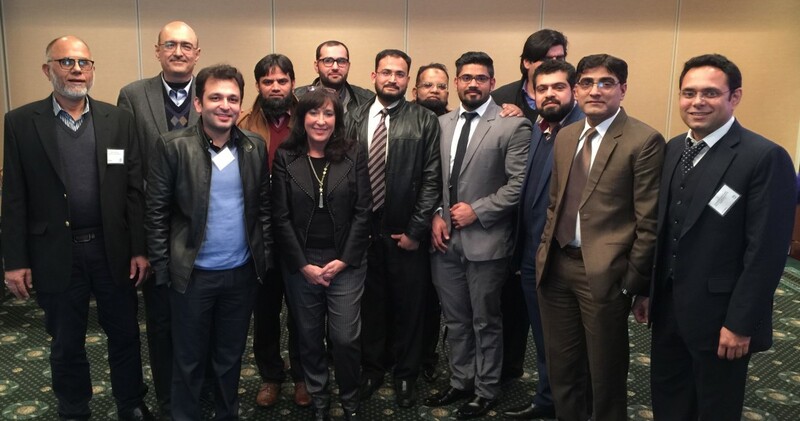 Sheryl Toby, metro Detroit-based member of Dykema’s Business Services Department, was recently asked by the United States Department of Commerce (USDOC) to give a cross-cultural educational business presentation to a group of Pakistani business leaders through its Special American Business Internship Training (SABIT) Supply Chain for Pakistan program. Toby’s presentation, titled “Introduction to Automotive Supply Chain,” was given on March 30, 2017, in Ann Arbor. The USDOC’s SABIT program builds partnerships and provides technical assistance by training Eurasian business leaders in U.S. business practices. These training programs directly support Eurasian economic and civil society development by encouraging market-based reforms, while generating valuable export and investment opportunities for U.S. industry. In her presentation, Toby explained facets of the manufacturing supply chain and its related issues, highlighting the automotive supply chain because of its dynamic nature. She touched on various topics, including the supply chain system and its structure; supplier interruption; financial stability; supply risk; the importance of contracts in the U.S. court system and the contracting process; the ordering process; U.S. court process; and bankruptcy filings. Toby was also recently featured speaking about supply chain issues on MSNBC’s “Your Business” program for segment titled “How do small businesses survive being paid later?” In the video interview Toby discussed issues surrounding small businesses who facing challenges from lengthy payment terms. She noted that, often, suppliers will accept customer contracts that do not necessarily work for them in order to land the business and encouraged suppliers to develop business plans that meet the reality of what can be expected from the customer base. Toby also suggested that suppliers may want to consider focusing efforts on diversification of their customer base to become less dependent on customers that do not meet their needed payment model. In her practice, Toby has more than 30 years of experience serving as a business advisor to manufacturing entities (such as automotive clients). She counsels clients in a wide variety of day-to-day supply chain and other business issues that intersect operational and legal matters. In addition she is a prominent bankruptcy and restructuring attorney.